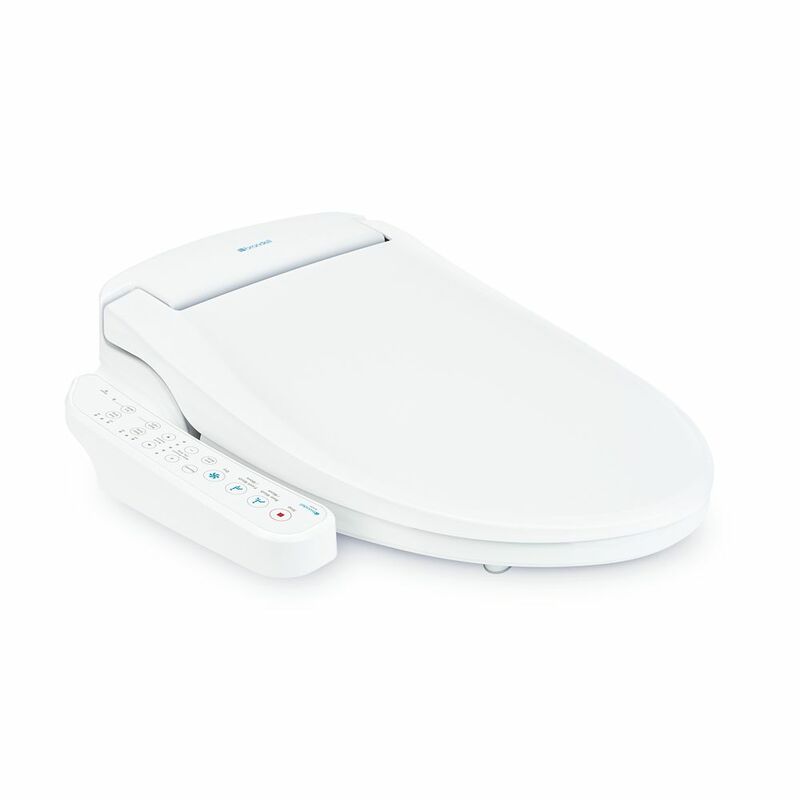 Swash SE400 Bidet Toilet Seat-Round, White Don't wipe yourself dirty... Wash yourself clean with the Swash SE400 advanced bidet toilet seat. Washing with water has never been easier with customizable wash settings, move function, massaging pulse mode, one-touch auto mode and warm air dryer. The Swash SE400 bidet seat delivers a better bathroom experience in both comfort and hygiene at an entry level price all backed by Brondell's industry-leading product quality and customer service. Well... what are you waiting for? Swash SE400 Bidet Toilet Seat-Round, White is rated 5.0 out of 5 by 8. Rated 5 out of 5 by SRLBike from An appliance I can't live without Purchased 2 of the SE400 bidet seats and can't say enough about how easier it was to install and how well they work. Those benefits, combined with an extremely reasonable price, makes for a great purchase. Rated 5 out of 5 by new and first time user from Very Nice and easy to install This model has great features. It was easy to install and works well. Rated 5 out of 5 by noworries from Healthy and clean We got this seat about a month ago, and I have to say it's changed the life of one of my family members. My dear relative was suffering from constant concerns of not being clean. This resulted in very long visits to the bathroom, excessive use of toilet paper, and worst of all, painful physical side effects of overuse of rough tissue (even the softest available). It was an ongoing source of discomfort, embarrassment and anxiety. We also had frequent plumbing stoppages. This luxury toilet accessory has been such a relief in this person's life. Now my family member feels confident of cleanliness and the physical effects from previous overuse of toilet issue are no longer a problem. Not to mention we are using about a fourth of the toilet paper and have not had any overflows since installing this product. Rated 5 out of 5 by Tazman9344 from Great Features for the price I have had a Brondell Swash plain jane and loved it for about 6 years, I bought this one to upgrade and love the seat even more. Rated 5 out of 5 by Mobetter31088 from Very Good Product for the Price I purchase this product a month ago and is very pleased with it. This makes the second purchase of a Brondell Seat. Out of both purchases, I like this one better. It fits perfect when it get to cleaning one backside after taking care of business in the bathroom. The water comes out hard to make certain nothing is left after taking of business. I love the blue light in the water. This product is well worth the price. Rated 5 out of 5 by Adickerson from SOOO HAPPY I MADE THIS PURCHASE After trying two other products I decided to give the Brondell a try. I am happy to say that it has exceeded my expectations. My toilet was a little smaller so there was some overhang but I am totally ok with that. The quality of the device is superb and cleans better than I expected. I will purchase again when newer models come out. Rated 5 out of 5 by Lrac from Heated Seat!! Love the heated seat, nice variety of settings and works well. Night light is nice option!! Rated 5 out of 5 by Talk2fabian from Time to Clean the Tooshie What a Fascinating device for the money. I originally purchase the handheld one but realized it was worth it to spend more and get a superior product that even warms and dries the toosh. I remember traveling to Europe and seeing a separate "Bidet" Unit. I don't have the space or the desire to tear up my bathroom for new plumbing to have just a hot and cold Booty spray. This makes going to the bathroom enjoyable. You leave feeling refreshed and clean. Not to mention less toilet paper waste. It is the best purchase I've made all year.